Within the past ten years or so, technology emerged as the major game changer as it has become deeply embedded in almost every industry including transportation, media, communication, travel and retail etc. It is common perception that real estate industry is completely immune to the disruptive ways of technology given its hyper-local nature. Some property managers even stated that technology didn’t even matter in this business. However, this is merely a misconception and this very misconception has led to lack of tech implementation creating a massive opportunity for new firms and individuals. Given the expanding nature of technology in real estate, it is the need of the day to adopt technically advanced practices. From real estate investing to digital advertising tech penetration is evident in every aspect of real estate. Let’s review the top 7 aspects reflecting how technology has embedded itself in real estate industry. Due to the significant impact of digital technology, bidding farewell to paper became a mandatory occurrence in every industry and real estate is no exception. Now, real estate and property management business have become entirely paperless. Companies are now literally throwing away the filing cabinets that occupied unnecessary space and served no purpose now that everything is stored in digital format over tiny devices and computers. Just a decade ago, to search for an owner contract or maintenance bill or to find information about a lease, property managers had to dig into a file cabinet that overflowed with documents and folders. It took hours and hours to look for required information and involvement of paper create quite a lot of logistical and organizational issues. Property managers had to keep physical copies of everything and the possibility of human error in creation and maintenance of such important and sensitive documents became an ever looming threat. But, thanks to technology property managers can now scan and throw away paper documents and there is no need to spend hefty sums of money on buying file cabinets. Nowadays entire data including files/documents, rent payment, employee manual, text messages, requests and all sorts of interactions are stored in the Cloud. With just click of a button anyone in the firm can access the data. Documents have become almost entirely electronic and around 99% of all leases are signed digitally now, which means tenants and property managers are able to save precious time on logistics as they don’t even need to meet anyone in person to sign a lease or application. On average, a property manager has to sign 10 to 20 leases per month and generally it takes a good one hour to get the lease physically signed by the concerned party. However, since leases are now signed and stored in electronic format therefore, property managers are able to save at least 10 to 20 hours per month, which is definitely a big deal. However, one drawback is that property managers are now relying upon a single type of technology, while they need to adopt versatile options given that today options and opportunities are endless. Wise property managers are those who try to leverage wide range of technological solutions. We recommend that you choose Google Drive or Dropbox too instead of storing everything on a single platform. Previously, keeping records of every single property for infinite time was a hassle for property managers due to the huge space such documents occupied in the office. Now, property managers can easily keep records of every property sold or rented out for eternity. For instance, if a tenant complaints about leaking roof, then in the past a property manager was required to have an excellent memory in order to instantly recall the property’s maintenance history to check whether the property got a new roof recently or if the old roof is still under warranty? Just to perform a simple task of checking if the roof had a history of leakages and what sort of solution was implemented in the past became an ordeal for property managers. However, through creating backend database, storing and accessing maintenance logs almost instantaneously has become a matter of minutes. It is a fact that development of such a fool-proof system is somewhat difficult provided that one technology might not offer all the required features. Such as, Appfolio, Buildium and Yardi, which are the three mainstream tech platforms for tenant management, are not enough for a property management firm that needs full-time maintenance crews. For such a firm, at least one to two additional, separate technologies would be required manage technical crew including cleaners, carpenters and plumbers. For instance, with help of GPS technology a property management firm can track all of its contractors all the time. Use of advanced tech solutions is beneficial in ensuring that contractors are not spending more time on a particular job just to charge more. Furthermore, it is a daunting task to manage large projects because of involvement of various tasks, priorities and multiple contractors and due to this organizing timelines becomes difficult too. Without implementation of technology to track timeline, juggling jobs would take much longer. Therefore, it is important to implement the right technological solutions to make project management easy and risk-free. Through technology, it is possible for renters to keep a clean ledger that can be accessed by anyone because just like properties, renters also need to keep a history. To keep all processes transparent, property management firms don’t accept cash at all now and over 75% of the renters pay online while the rest pay through money order or check. But why do property managers not accept cash? The reason is that keeping cash is a big security risk that none of us would want to endure. Moreover, it is a wise idea to not accept cash because that way a renter would never be able to claim to have paid money to the property manager when in reality he/she hasn’t. In online ledgers, record of every single transaction is kept and can be accessed digitally by the renter and property manager both. If an eviction case is filed, it will be much easier to discuss in front of a judge when there is complete history available of tracking codes and transactions in the form of central ledger. Time to throw away the heavy-weight physical journal! With the emergence of smartphones, it became unnecessary to have huge, spacious, centrally located brick-and-mortar office to run real estate matters. Brick & mortar offices tend to be quite expensive and the only purpose these serve is to keep physical files in cabinets. Since paper-based files are no more required and all the information related to properties, tenants and maintenance are stored in digital formats therefore, property managers are now able to spend their time on actual management of properties. Whatever needs to be stored can be uploaded in the Cloud, which can be readily accessed through smartphones. Expansive offices have become more like a crutch and in 2018 property managers need to spend time at actual properties while smartphone has become their go-to workplace. Similarly, renters have 24/7 emergency call facility through smartphones and they can easily send maintenance order through them. However, property managers face the challenging task of staying organized with variety of digital communication forums. In 2018 the most significant trait property managers need to exhibit is organizing electronic communication flow. Call-center operation technology is yet another important tech suite. Google Voice, 8X8, Ring Central and Vonage are key examples of available technologies in this context. Technology helps renters and property owners in connecting with their required person through call center during work hours and smartphone allows easy communication facility during non-work hours in emergency situations. A rotating senior manager is responsible for supervising emergency lines and some companies also operate off-shore emergency response call centers. Through call-center technology, it is now possible to get in touch with the right person 24/7. Technology has helped in setting stage for rent amount as rental information is not just accessible through local investors and property managers but from websites as well, which help in receiving decent rental estimate. There is an app available that helps in keeping track of the actual rent amount for every managed property. Moreover, through GPS mapping, property managers can easily find available units in every required area and vicinity from right down the street to new houses up for rent in the suburbs. To find prospective tenants, landlords only need to place an ad on websites like Apartments.com, Craigslist and Zillow while this process used to be a time-consuming one before with landlords having no other way but to post an ad in local newspaper or putting on a leasing sign outside the unit. Through dedicated websites, it is now possible to generate interest from anywhere across the state that too, from the comforts of your home. Bigger property management firms can make use of SEO marketing techniques to appear on top of search engine results such as on Google and Bing. Prospective tenants can schedule a visit of property through the internet without even making an official call and if all goes well and tenant is ready to sign the lease, landlord can easily run credit check with a few clicks. Eviction data is also available online that can greatly help in deciding about a particular tenant’s reliability. There are smooth and seamless integration systems available now that might be difficult to understand initially but can make you a cutting-edge property manager in 2018. Integration of different technologies needs to be licensed and updated regularly and it is important to constantly monitor them to make sure everything is well-coordinated. So, What’s the catch for Investors? It is important for investors because technology has improved the way property management is carried out. It is true that rates have lowered considerably in comparison to 10 or 20 years back and today it is normal for property management rates to cost around 6 to 7 percent while previously it used to be nearly 10 percent. Furthermore, advertising costs are now close to zero while vacancy times are continually declining. Take the example of Amazon, which is a clear case of how technology decreases costs. Investors are the true beneficiaries in this scenario since a 2% increment in net-profit off of gross income can result in massive returns in this industry. 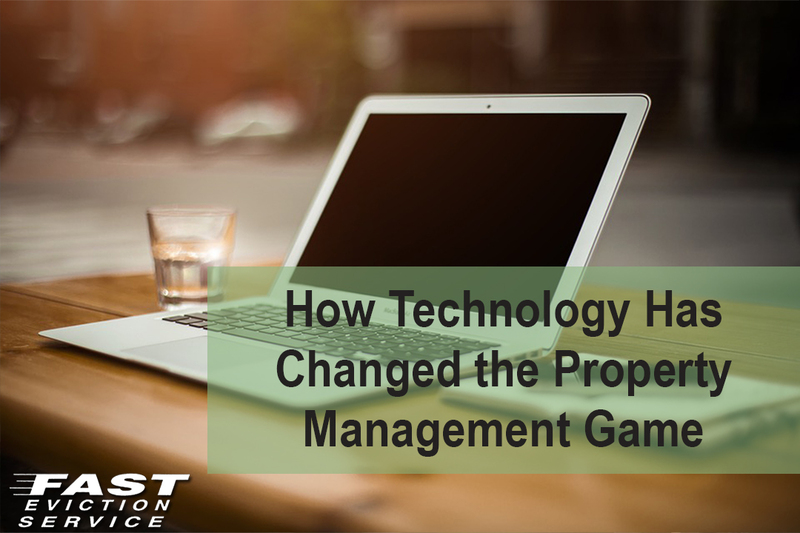 These are just a few of the ways how technology has changed the property management game.